The Rogue Valley Peace Choir is a secular community choir dedicated to creating peace in our lives, community, and world through song. We sing music that inspires us and our listeners to live and act in ways that promote peace, social justice, and responsible stewardship of the earth. We model good communication skills, showing respect and compassion for others. Through our singing, we open our hearts and minds to connect with others in celebration of life. 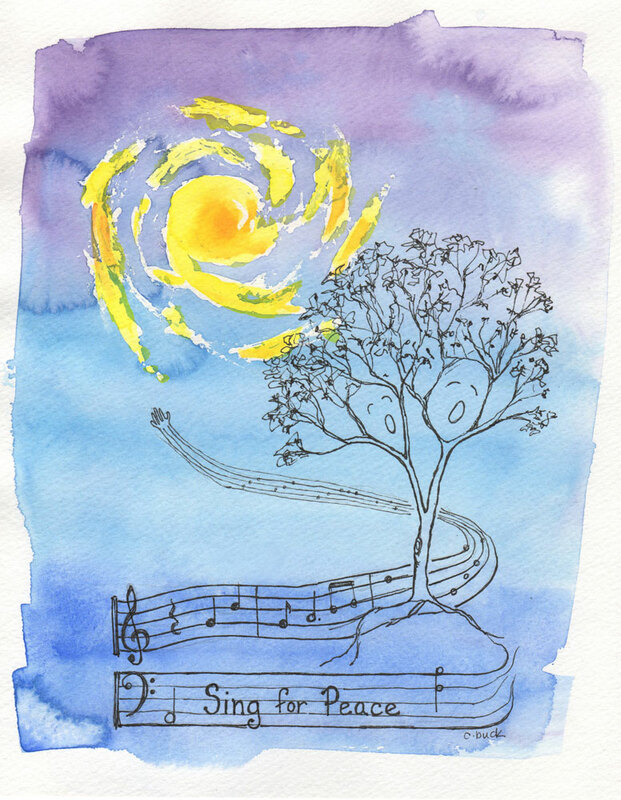 The Rogue Valley Peace Choir this season joyfully celebrates its 14th year of singing for peace, social justice, and the preservation of our Earth. The choir performs regularly at events such as World AIDS Day, Earth Day, and Martin Luther King Jr. Day observances. 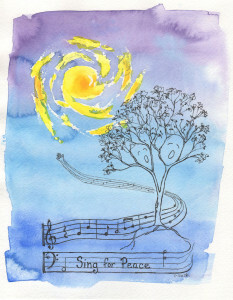 In 2006 the choir traveled to Japan to sing for peace in Hiroshima. During the 2014-15 season, the choir hosted a sold-out event at Southern Oregon University featuring peace choirs from throughout the Northwest. The late Dave Marston directed the choir for six years, followed by Heather Hutton for three years. Now in his fifth year as director, Rob Lowry leads the choir as we continue our mission to sing for peace. Sign up for concert announcements and choir news HERE. For concerts, events, and choir news, click HERE.